This well-established, robust integration is one of the most advanced integrations to Kodak workflow products on the market. 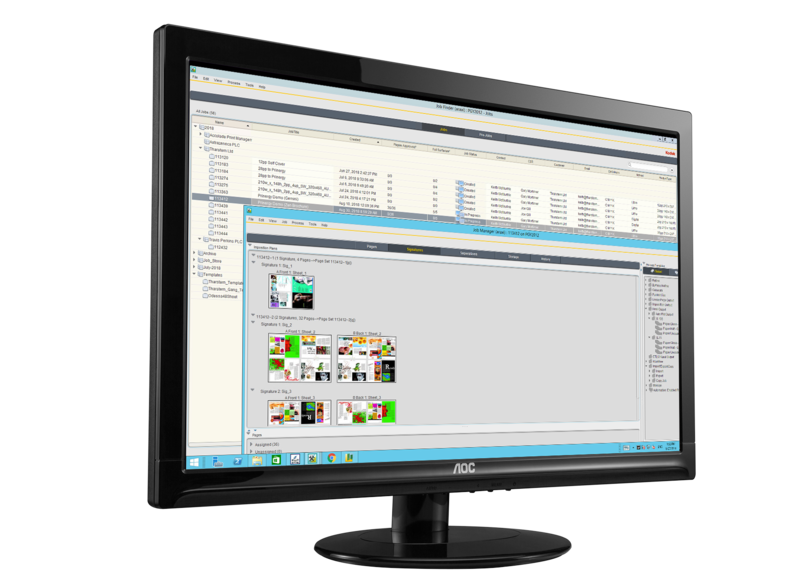 We have taken advantage of Prinergy specific technology to create an enhanced interface between Kodak Prinergy and Tharstern. An MIS to prepress workflow integration - it allows you to create jobs, deliver imposition, take advantage of Prinergy specific workflow automation and to update the MIS at key stages throughout production. Take a look at the Kodak Prinergy integration video.